Kristelle takes part in the casting of famous Velvet Music production center. 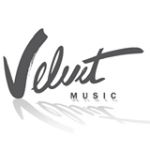 The team of Velvet Music never stops on achievements, but develops and moves forward always. Now this production center is ready for opening the new stage names! Let`s wish Kristelle good luck!